In the Tantric cosmology, the whole universe is perceived as being created, penetrated and sustained by two fundamental forces, which are permanently in a perfect, indestructible union. These forces or universal aspects are called Shiva and Shakti. The tradition has associated to these principles a form, respectively that of a masculine deity and that of a feminine one. Accordingly, Shiva represents the constitutive elements of the universe, while Shakti is the dynamic potency, which makes these elements come to life and act. From a metaphysical point of view, the divine couple Shiva-Shakti corresponds to two essential aspects of the One: the masculine principle, which represents the abiding aspect of God, and the feminine principle, which represents Its Energy, the Force which acts in the manifested world, life itself considered at a cosmic level. From this point of view, Shakti represents the immanent aspect of the Divine, that is the act of active participation in the act of creation. Maybe exactly this Tantric view of the Feminine in creation contributed to the orientation of the human being towards the active principles of the universe, rather than towards those of pure transcendence. 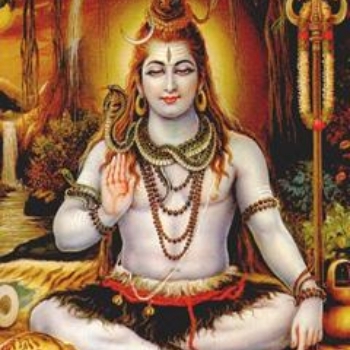 Therefore, Shiva defines the traits specific to pure transcendence and is normally associated, from this point of view, to a manifestation of Shakti who is somewhat terrible (such as Kali and Durga), personification of Her own untamed and limitless manifestation. 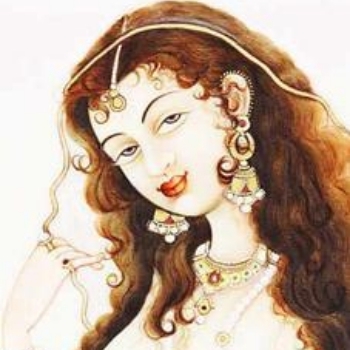 Owing to the fact that in a way, Shakti is more accessible to the human understanding (because this regards aspects of life that are closely related to the human condition inside the creation), the cult of the Goddess (Devi) has spread more forcibly. This cult was combined with notions of the Shamkhya philosophy and has offered the premises necessary to the later Maya doctrine, formulated by the sage Shankaracharya. The Samkhya philosophy promulgates a primordial cosmic duality. From the Tantric perspective, this “scheme” of creation is transformed, in the sense that the two cosmic principles are considered united, not separated. This is the fundamental difference introduced by Tantra, based on a conception that favours the unity between the two principles, opposed in appearance, but indissoluble united in each act of the creation. Nevertheless, Tantrism confers to Shiva and Shakti the qualities of the feminine and masculine principles from the Samkhya philosophy. The idea of an act of fertilisation at the divine, purely spiritual level comes to life and is admitted in the tantric cosmogonic conception, unlike the Samkhya philosophy. The eternal and indestructible union between Shiva and Shakti gives birth to the whole Macrocosm, in its stable, static aspect as well as in its dynamic one. The different representations in the rich tantric iconography obviously underline the antithetic characteristics of the two principles, determining a more clear understanding. Thus, on one hand is presented the cosmic dance of Shakti on the lying body of Shiva. 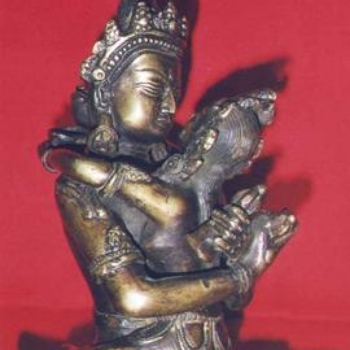 On the other hand, the two deities are pictured in what is called Viparita-Maithuna, meaning tantric sexual union. This sexual union is different from what is usually understood by this in the western traditions, in the sense that man is immobile, while the woman, embracing him, assumes an active role during the sexual act. In conclusion, the Tantrism envisages the cosmic evolution as a polarisation within the Supreme Being, which is God, the Unmanifested Absolute, in its two fundamental aspects: static and kinetic. Tantra symbolises this aspect by comparing the couple Shiva and Shakti with a seed of grain (chanaka). Such a seed is made up of two halves so closely linked that they seem one, and one single cover covers them. Symbolically, the two halves represent Shiva and Shakti, the cover represents Maya (the cosmic illusion). When the cover is on, the two halves are separated, but the cover goes off when the seed is about to germinate, unifying thus the two halves in one.